We are happy to say that the 2017 Tangle-a-Day Calendars are now available! This year's theme is fragments. 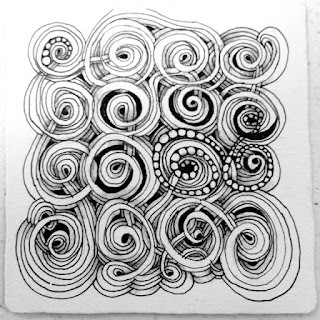 I've had so much fun with Zentangle's new Zentangle Primer, Vol. 1, that I had to include samples in the calendar. I hope you all have as much fun as I did. Click here to purchase a calendar from Braughler Books. Order quantities of 10 or more, click here. 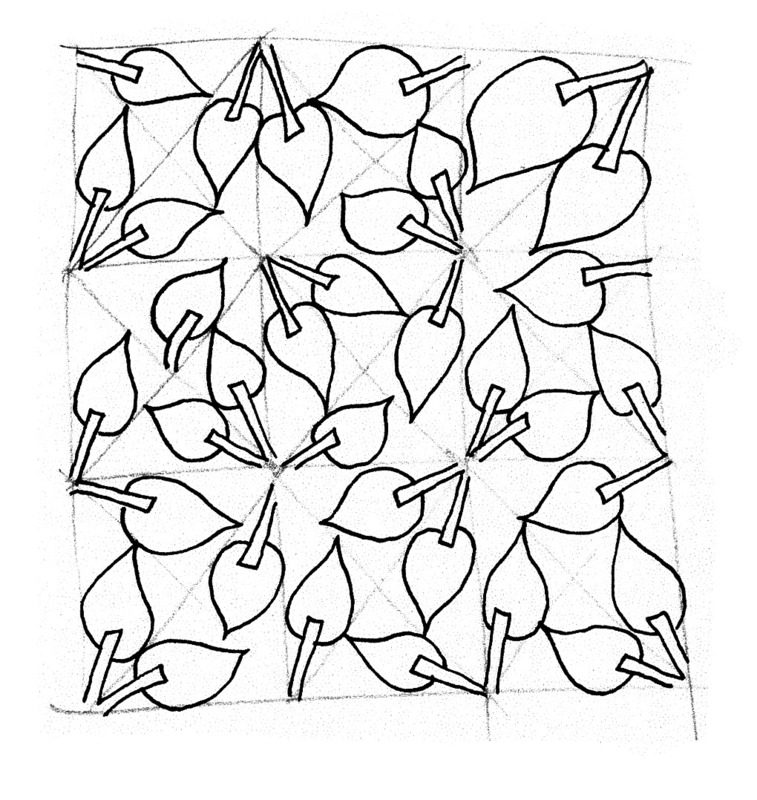 Create a square grid in pencil, then divide each square into four triangles. 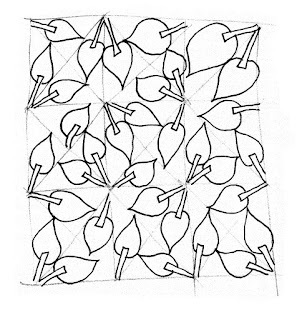 With pen, draw Poke Root in each triangle, turing your tile randomly to change the direction of each fragment. 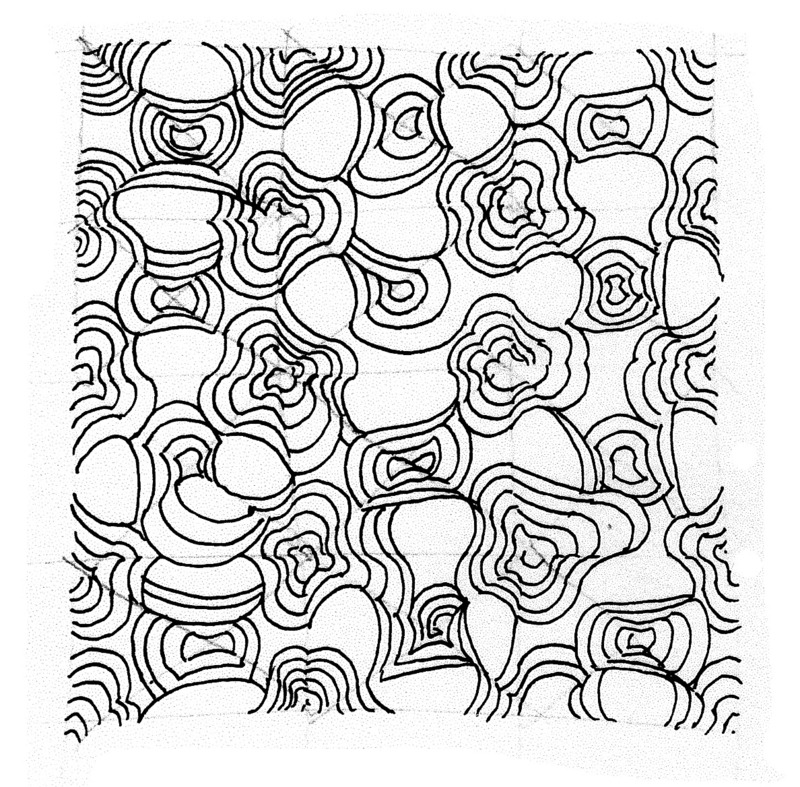 Let the Poke Root touch the edges of the penciled triangle. Puf the corners, close up the outer loose ends, and shade! 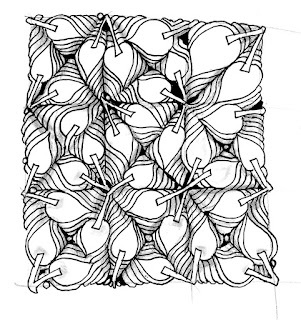 I have always loved quilting because of the way each square, when connected to the next, creates shapes and patterns that the one square alone did not. 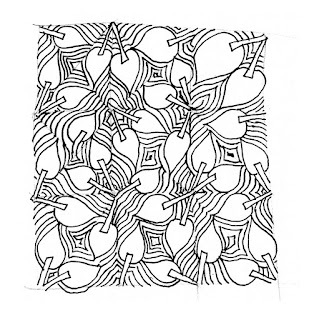 In Zentangle, the same fun can be had by connecting the same square or triangular design (fragments) in a grid fashion. There are so many combinations! 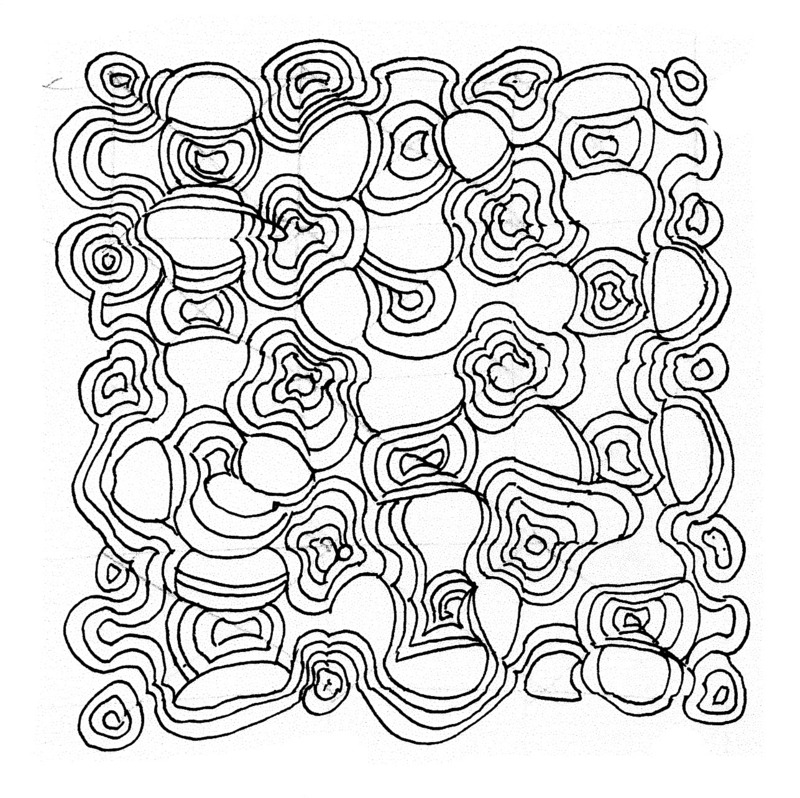 If you have the Zentangle Primer, Vol. 1, check out the chapter about Reticula. 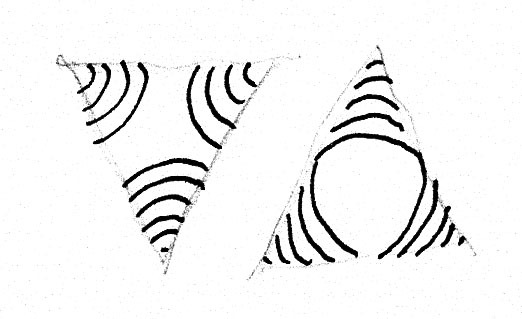 For the art below, I used a square grid and triangled it by drawing diagonal lines from corner to corner on each square. 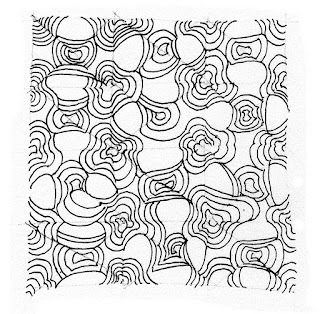 I did the grid loosely in pencil. 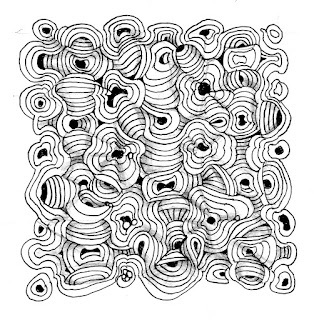 I like when things are a little off, so I wasn't at all careful about even lines, etc. 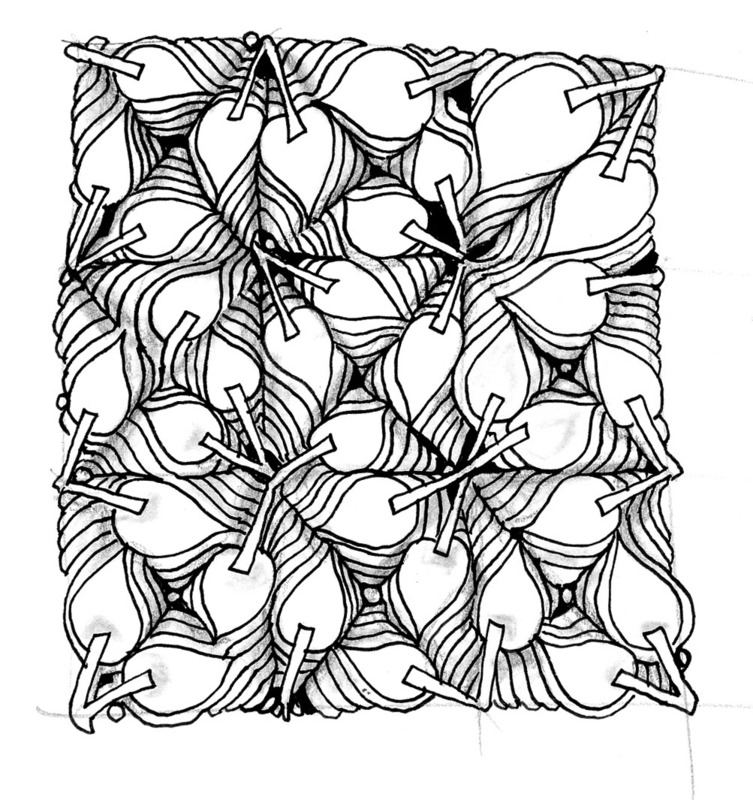 The reason I drew the grid in pencil is so that the edges of each fragment will connect to the next one (or not!). 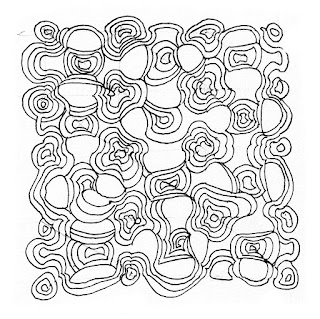 This process makes way for new shapes to form between the fragments. 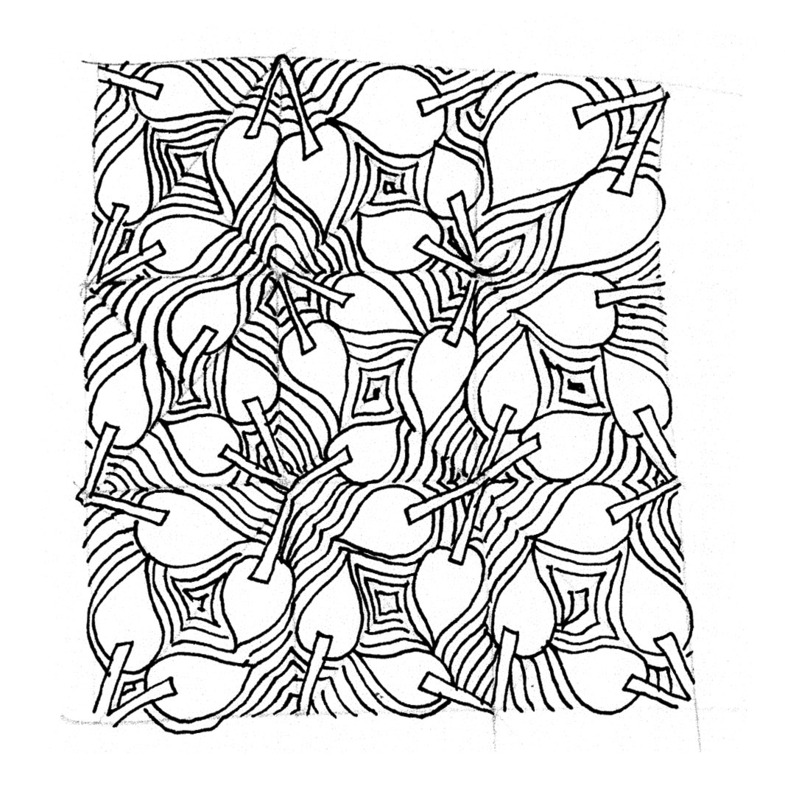 I used the fragments illustrated in the wonderful chart in the Zentangle Primer: K-15 and J-15. 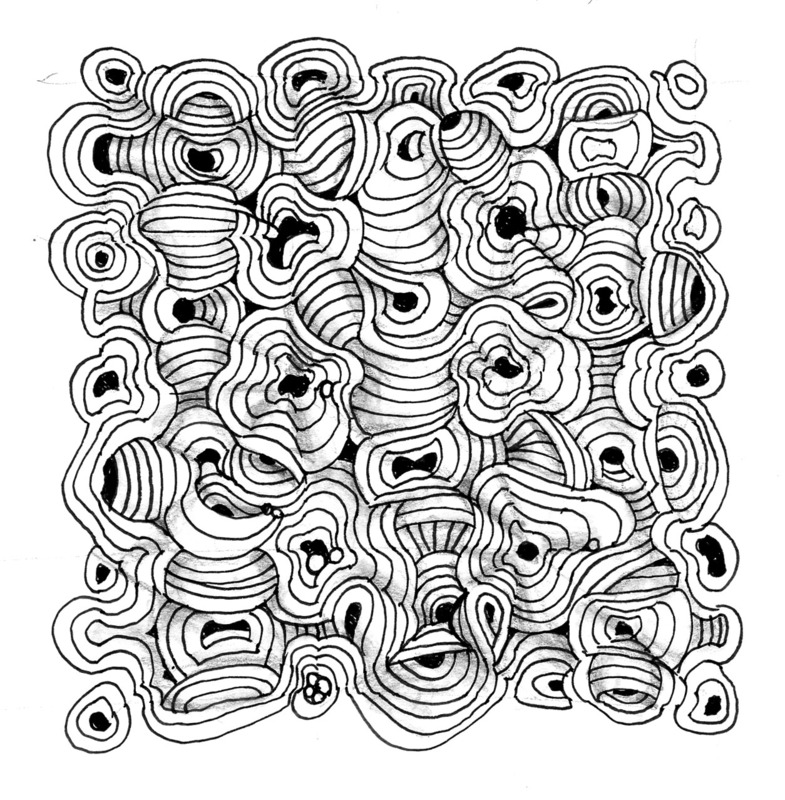 I alternated each fragment when drawing them in the grid. 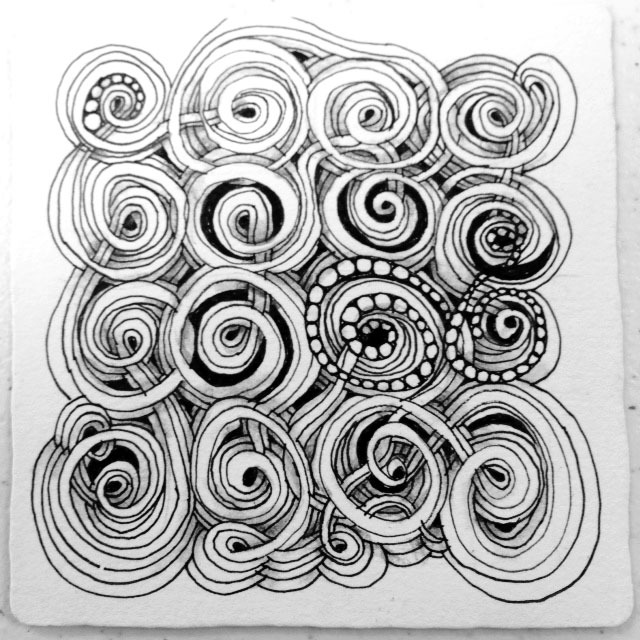 As you can see, the results are a little wonky and unpredictable... exactly what I love about the Zentangle process. The more I don't care about the outcome, the more fun it is when I find the many surprises the lines have in store!